To many companies in Northern Ireland, the ‘tax man’ is like a real life version of Charles Dickens’ infamous skinflint Ebenezer Scrooge, but a Belfast-based Exchange Accountants has come up with a few festive ‘crackers’ to help make Christmas that little bit merrier for local businesses. Christmas can be a season of goodwill if companies take advantage of some seasonal benefits on offer from HMRC, according to Conor Walls, Managing Director at Exchange Accountants which provides premier accountancy services and tax advice to a wide variety of companies and individuals based in Northern Ireland and the Republic of Ireland. “Christmas can be a costly time of year for businesses with many laying on parties for their staff and buying gifts for important clients and customers,” said Mr Walls. “However, there are a number of tax benefits, specific to this time of year, that many companies are unaware of but will help reduce the overall cost of Christmas to their business. “From tax free gifts for clients to exemptions for staff Christmas parties, companies should familiarise themselves with the benefits available to them to make Christmas as tax efficient as possible,” he added. Christmas wouldn’t be the same without the annual staff party but did you know that employers can spend to £150 per head tax free on annual social functions to entertain staff. What’s more this applies to clients, friends and family too – not just employees. Be careful though that the cost per head does not go over £150 per head, as the FULL amount would then be taxable and not just the difference. Also, make sure to keep accurate records of cost and attendees that you can show to HMRC if requested. Gifts for clients and customers are tax deductible as long as the cost per year is less than £50 per person and your gift contains a noticeable promotion for your company. Unfortunately, food and drink gifts do not qualify for this particular benefit. Entertaining clients and customers is generally not tax deductible but there are exceptions to the rule which may enable your company to claim the cost against your tax bill. One such exception is that, if by taking a particular person out, they add value or provide a benefit to your company – possibly in the form of important advice or research that will help your business – with no reward for themselves other than a free meal, then this cost is tax deductible. Gifts for employees are tax deductible if they cost less than £50 and are considered a ‘trivial benefit’ – in other words not a performance-related reward or part of their contract. Cash gifts are not eligible for tax relief and will be taxed along with the employee’s other earnings by HMRC. Similarly, cash vouchers are also subject to tax and National Insurance. If you’ve had a successful year and would like to reward particular members of staff for their contribution during the year, there are a couple of tax-free income awards that you can give to staff. Encouragement awards up to the value of £25 can be given to employees in recognition of extra special effort or good suggestions for the business. At a higher level, Financial Benefit awards can be made up to a value of £5,000 (tax free to employees) to staff who have played an important role or made a suggestion that has saved or earned your company a lot of money. These staff suggestion schemes must be open to all employees and only made in the event of an employee going beyond the call of duty or making a business-improving suggestion that is not part of their daily job (e.g., participation in a meeting for proposing new ideas). 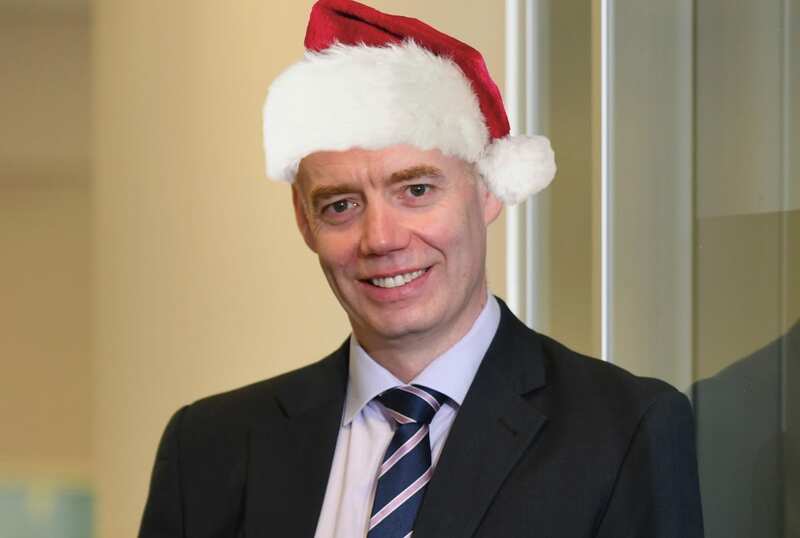 “These are the most common exemptions available to NI businesses this Christmas,” said Conor Walls, “but there are plenty of other ways in which companies can maximize tax efficiency – from both a company and employee point of view – at Christmas and throughout the year. “As always, we would advise companies to keep very accurate records to support their tax relief claims if the HMRC ever require more information. As long as everything is above board and carried out to the letter of the law, there are definitely savings to be made,” he concluded. For more information on any of the above tax efficiency tips, call Exchange Accountants on 028 9040 7470 or send an email to [email protected].